Every year, the farm Schellerhoeve in Zwolle hosts a winter party. The entire farm fills up with stands displaying all kinds of crafts. 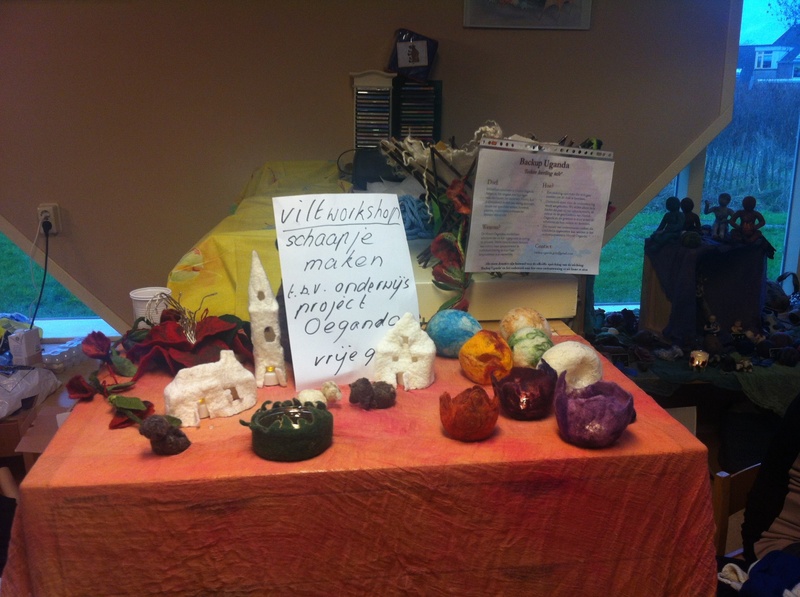 Roelinka Weigand was present during the winter of 2014, showing and selling her handmade felt products. She decided to donate all proceeds of her stand to Backup Uganda.